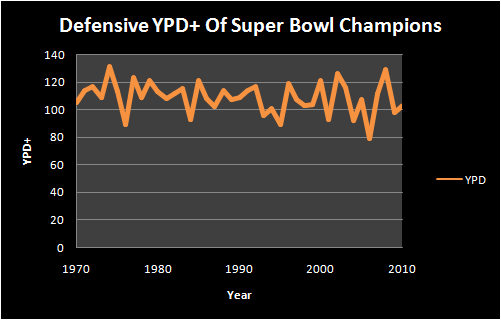 Last week I wrote briefly on whether or not the idea that “Defense Wins Championships” was a bit outdated. 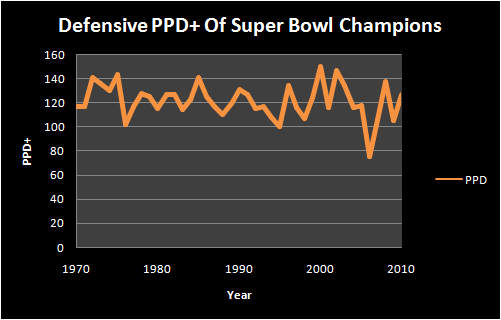 Looking solely at overall rankings in points per game scored/allowed, it seems as if good defenses are still a key element of a Super Bowl winning team. Of the 3 “bad” defenses which have won Super Bowls lately (2006 Colts, 2007 Giants, 2009 Saints), both the Colts and Giants got hot down the stretch to carry their team to a Lombardi trophy. 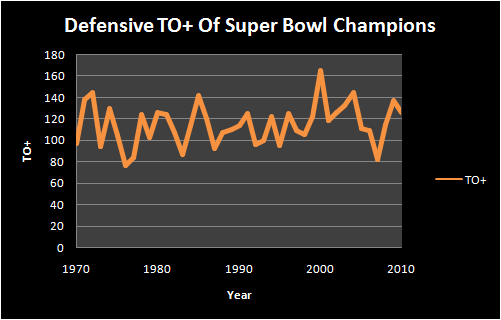 The average DSCORE of a Super Bowl winner is 20.83. Only 2 teams in 2011 had a DSCORE that high: San Francisco and Baltimore. The 2011 Patriots checked in at 5.93 and the Giants at -4.42. However, like the 2006 Colts and 2007 Giants, both current Super Bowl teams are playing better than their regular season numbers indicate. 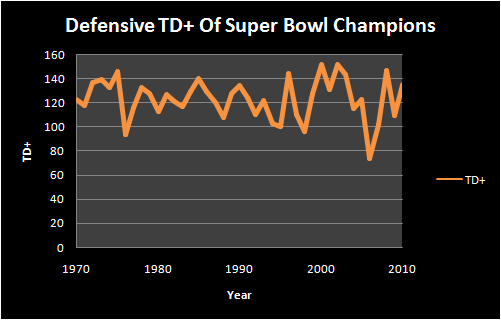 Whichever team wins next Sunday will join the recent trend of teams whose defenses got hot at just the right time.